Do you work for Xero? Xero provides beautiful, easy to use online accounting software for small businesses and their advisors. It lives in the cloud so it’s accessible on any internet-connected computer or mobile device through a standard web browser – or the Xero Touch mobile app. The connectivity of Xero allows small business owners and their financial advisors to collaborate in real-time, from any location. The company has more than 715,000 paying customers in more than 180 countries. Key features of Xero - Integrates with 500+ third-party software providers, including inventory, time tracking and payment applications. - A beautifully-designed dashboard provides an at-glance overview of account balances, outstanding invoices, upcoming bills and expenses awaiting approval. - Transactions from your online bank and credit card accounts flow automatically into your books and are matched with their corresponding accounting transaction. Just click ‘OK’ to reconcile. - Each Xero plan comes with unlimited logins. The account administrator controls what each user can access and see. - Xero has a best-in-class uptime of 99.99%. - Software updates occur automatically in the cloud. New releases come out every three–six weeks based on feedback from Xero customers. - Xero provides free email support, live and online training, and an active user community. Learning about Xero? We can help. "Effective tracking of our finances and billing"
In our billing and finance processes Xero has strengthened these procedures in a timely manner, we can emphasize that Xero has strongly supported the organization of income and expenses, guidelines for billing, important data of our payroll, banking processes such as transfers and financial reports that in fact they are fundamental to have it, it is a very complete software, of easy use, strengthened in good functions, makes the follow-ups very punctual and concise. There are few disadvantages that this software has, analyzing in depth its weaknesses we identify that they must improve their labels, the delivery notes have not been found, they must enter more functions and more options so that this more strengthened, they must add an option to edit the reports. Necessarily a company requires this type of software, we can say that it is a very complete software, with few weaknesses, an act to acquire at adaptable prices to the bolcillo, easy to use, and it is good.
" a software on hand for your finances and accounting solutions, xero the best"
Simply Xero, has led in our company effectively tracking our expenses and billing, has been very helpful in our finances, has generated impact in the organization of our payroll, is indeed one of the very complete software that progressively solves our processes financial and accounting solutions of our company. This software has its limitations that should improve, some of them is its terrible customer service, we have not given to communicate with them for any inconvenience that we may have during the operation of this software, it does not have delivery notes to facilitate our processes of follow-ups, reports are limited, it is up to you to improve this option so that administrators are satisfied with this product. Unquestionably it is good software, they can improve their accounting and sales organizations in a company quickly and safely. Despite its limitations, this software is good because it has improved sample organization in terms of payroll processes, accounting accounts, banking transactions, invoices, expenses, which are essential for companies. In the time that we have manipulated the Xero software, we have realized how great it is, since it optimally monitors our sales, invoices, expenses of our company, nice to say that xero has contributed a lot to the organization of this company allowing a better functionality to our finances, detailing our expenses or expenditures to have a greater organization, its price ranges are comfortable, affordable to users, or companies, it is fast in terms of functionality, practical, simple, you can say that it is good software. Its biggest weakness is the lack of features, should improve and include several details that strengthen its functionality, its interface deserves a better graphic or designs that are more attractive or beautiful to the user, are limited in some functions as the categories must be editable or customized to make it more viable for us. It should be noted that it is good software that can quickly organize your accounting processes, as well as being easy to manage and easy to acquire. Excellent program to generate positive changes for a company. It fulfills the requirements that we need to improve our company, it has allowed us to organize in an arduous way our processes of payroll, sales, invoices, expenses, among others that are of utmost importance for our company. "xero super good software for tracking and auditing our billing, expenses and sales." We can see that there are problems in terms of labels, that failure should fix it, another is that when there are unknowns in the handling of this software we go to seek help in technical support and do not see where to call, or communicate by qualified staff for those problems. One of the reasons we acquired this product, is that it is well recommended, has good characteristics, very practical, safe, easy to use, in similarity with other programs is the best on the market. Evaluating the software we realize that it is efficient, it is light and fast to manage, its interface is beautiful, it carries out its operations very opportunely, there are few faults that this software has.
" with Xero, our finances are more timely"
Xero, has meant for us, progress, fast, reliability, has been very practical, easy to use, contains excellent features, makes timely billing, takes our expenses very timely, is very timely the data of the characteristics of the payroll , performs banking transactions instantly, is a simple accounting solution for us taking our finances very effective and excellent, strengthens our company very notoriously. A part of everything is good software, has allowed us to strengthen more the accounting issue of our company, optimally manages the monitoring of our finances in a practical and safe way. "Xero is perfect for handling all kinds of documents"
From xero we like that it consumes very little bandwidth. It is very easy to import transactions from bank accounts, which makes it excellent to keep accountants. In addition, there is a huge amount of third-party applications with which you can integrate the Xero platform (around 600, at least). We like that the data is accessible through a single ledger, because it saves us a lot of time. Something we dislike about Xero is its price, at least $ 27 a month, which seems a little high. It does not have a good deployment in the cloud, or at least not for native Android mobile devices. Its accounting system for non-profit organizations is slow and not very detailed when it comes to billing accounts. It does not work to make bank reconciliations, or to print checks. We can quietly recommend Xero's fraud detection system, and we highly recommend it to keep good track of payment approval processes. It is excellent to manage treasury, and to make projections of extra costs. Thanks to Xero we can take a much better accounting of debtors and creditors, in addition to that we can better review our labor costs than with other platforms of its kind. It has also been very useful for the detection and prevention of bank fraud, due to its wide security. It has also been easier for us to manage our payroll. "Xero shows us an unparalleled accounting work"
From xero we like how easy it is to work with balance of profits and losses. We like to be able to manage our treasury so comfortably, and to be able to create financial reports from templates offered by the same platform. In addition, it also has the necessary tools to carry out forecasting, and sales strategies. Your business payroll manager allows you to specify a lot of information. We do not think Xero is good at working with bank reconciliation accounting. It does not offer us a good online billing system, and it does not offer a good integration to bookkeeping services (this is a serious problem when carrying books). Your subscription billing system is not very customizable. We do not like the way Xero organizes fixed assets. We highly recommend the use of xero to take better control of the Return of Investment, and for its excellent Payroll capacity. Xero is amazing to do market research, and to manage inventories. It is highly recommended to handle purchase orders. Thanks to the fact that we started using Xero our accounting work is much more comfortable than before. The applications we used did not allow us to properly manage our books, and our benefits. Also now we save more time than before thanks to its mobile application, which has been quite stable. It has also helped us a lot with the detection of business fraud, because it is synchronized with many devices at the same time. "Xero is the best accounting assistance tool"
We are fascinated by the ease with which we can perform profit and loss balances for our business. Xero is undoubtedly the best platform to create financial reports. Now, we quite like its variety of options for treasury management, and to make sales forecasts. Another thing that we like about Xero is that it is very good to keep accounts of creditors and bank reconciliations (the latter is indispensable for accountants). Xero does not offer an integration to bookkeeping services, and its management of corporate payroll is quite slow. With regard to legal billing, Xero does not allow the proper invoicing of provisions, which makes it difficult to manage inventories. We do not like your management system of renewals and orders. Xero is a highly recommended platform to keep good control of business expenses, and to track time. We recommend it completely for forecasting sales (called forecasting), and to keep good accounting of each section of the project. It is perfect to manage fixed assets and taxes, as well as to take an adequate management of the client's compliance. Xero has provided us with an excellent billing system for projects, either to carry contact databases, to make billings by hours, online, unforeseen expenses, or simply subscriptions. Xero is quite time-saving in terms of its payment processing system, which works surprisingly well online. "Configure and automate the accounting area"
When you configure certain elements, they remain registered in the system once they are valid, that is, when you want to use them again when they are registered, you remember them automatically, this saves a lot of time in the data inserts in the system. The banking rules can also be configured and their coding is practically automatic, since you only have to perform a validation. This is really useful to configure and register different invoices. The audit and security controls help you to review possible errors in the accounting section. Both errors that may have been committed by users and possible failures when inserting or modifying any specific data by the company. This audit prevents failures. The contact database is somewhat difficult to use, since it is difficult to import or export easily. It could simplify the process of inserting contacts to make it easier. When you have a client that has multiple projects with you it is more difficult and laborious to configure the invoices within the system. The expenses and benefits of a company must be reviewed and controlled in a very specific way, it must be a detailed review with a very complete information, since the financial area of a company is really important for its proper functioning. Xero helps to execute those actions and to have more peace of mind, since it informs you about all the aspects of your invoices in a complete way. The invoices of our company are now in the system for analysis, for subsequent revisions and also to be informed of all the expenses we have. At the same time there are also customer invoices and we can observe and control the benefits achieved through the projects carried out. It is a comprehensive accounting system that allows us to have greater control over our accounts and we can review globally all the financial sections. We like how easy it is to handle invoices and payments on the Xero platform. It allows to properly organize each payment, depending on the cost of work. Your tax management system is excellent, very broad. It has great Payroll capabilities, such as being able to make direct deposits or benefits management. We do not like that as inventory management software does not have mobile access, or retal inventory management. Its management of fixed assets is quite limited, as is its application of sales forecasts, which is why it is not used to conduct market research. We highly recommend the use of Xero. It is an excellent platform to take complete control of everything that enters and leaves our business. It is perfect for handling purchase orders, and for carrying ACH payment processing. It also has a lot of capacity for databases. Xero has solved all our fraud detection problems, and our creation of analytics reports is now much more optimized. It took us less to carry the metrics of each inventory. In addition, your tracking of expenses has helped us a lot to take better control of our ROI. "Was great when I first started but now I'm realizing I've made a mistake." Accounting was probably the most intimidating part of starting a business for the first time. I went with Xero because it looked less intimidating than QBO at the time and it supported payroll in my state for a very good rate. $29 for accounting with payroll up to 5 employees. Of all the features, payroll felt the most well thought out and complete. As business grew I noticed most features felt unpolished and were lacking functionality that would make them feel complete. To add the functionality that you expect would have been built in required several apps each with their own monthly fee. - You can see a list of your recurring invoices but you can't get a total unless you use a calculator or sign up for a separate monthly service. - late payment reminders don't go to the invoice recipient. They go to the main contact. This caused a huge problem with our customers as we assumed invoice reminders were going to the right people. - can convert quote to invoice but not to repeating invoice. - Why are my credit cards accounts listed when selecting paid to on invoices? - support is abysmal, send an email and wait a couple of days for response. There's more but you get the point. Xero recently sent out an email indicating they are eliminating payroll and we must start using Gusto or another service. In addition the $29 product sees no reduction in price or added features which effectively triples the cost. That now makes them more expensive than QBO and not even close to being as robust. So this will be our last year with xero as we move to QBO. Suggestion if someone from xero leadership reads this. Maybe stop throwing parties all over the world and focus on the product a little more. The ease of reconciliation has made it easy to understand and complete. This is no longer an intensive monthly process, I can keep up with my daily accounts. The system is easy to use and has very good integrations, which makes it easy to share your accounts with the accountant and the accountant. The reporting function is also very good. Prices started to put them out of the race for the time being, which is discouraging. There are other products that can do the same thing that Xero does for a more affordable price. I really like your payroll, it's incredibly functional. But, as we grew up in the company, we had the need to use payroll in more than one state, which Xero can not handle. I would recommend Xero with a blindfold for small companies with high aspirations. And much more with the excellent integration with other programs that Xero has. Xero is incredibly easy to navigate and use. You can automate most tasks and banking sources, and it is incredibly affordable considering how much time you save.
" optimal software, effective tracking, Xero the best." the acquisition of this software is very important because it helps us in an easy way the implantation of follow-ups regarding the turnover of our company, it has good characteristics that make us feel more secure with what we are doing, the prices are comfortable and easy to Access for your economic convenience. We have seen that it has difficulty when you have to make the reports because they are not personalized, your interface needs a lot to improve, to access the help of xeros it is difficult to contact them immediately, do not show us the delivery notes and we would like they solved it as soon as possible to have better services of xero. one of our recommendations is to add more features so you can improve the moment of feeding this information, they must improve the interface to make it more attractive for the client, improve the reports so that it can be customized, improve the labels since they are limited in only two categories, but in spite of everything, xero is very good, and it gives us a lot to be a reliable and safe company. this software has been very useful since it is helping us to optimize our processes, to carry out the follow-up of accounts payable in an adequate way, its price range is comfortable for us and we are happy to have xero in our company. "xero very practical to use at low cost"
this software has taken an importance for this company since it has started the monitoring of our invoicing, resulting in an optimal work, it is easy to operate, I practice in its management, when we started with xero we started using the free trial for 180 days that only allowed us to manage a limited number of invoices, it is great since it allowed us to know if it was really good or bad. the first thing that we dislike is that we did not see the customer service number to be able to support us when we had problems feeding this platform, the interface is very basic they should improve it, when carrying out the operations it does not indicate the delivery notes, it needs more features to support yourself better and thus have a more optimized software to carry out our processes. Our recommendation is to add more features and better interface to provide the user with a better service. It is helping us get out of the flow of our billings efficiently and quickly, provides an economy since we do not use paper for those processes of our company. "a software that handles the accounting part"
for this company it is very rewarding to have this software because it has optimized our cash flow processes, this gives us a great support to the accounting part of our business, it is very practical to manage and easy to use, it has helped with constant monitoring of sales in online form. organizes our data and information of our payroll in an easy and effective way for the user. we have noticed the shortcomings that it has, it lacks more features that serve as support for this software, the reminder of late payments should be in the recipient of the invoices, it does not show the amounts of the invoices due, lack more support in the support to the user. Our appreciation of this software is that it has helped us in the optimization of sales monitoring in the company, it allows us to create an invoice, send it easily, saving time and paper for our company. "Reliable software to perform your accounting process"
We like it because in it the information is stored online and there are no problems with transfer data, you can also see a detailed description of the operation of your business, the purchase and sales records are very complete, easy financial statement reports to access the information, keep all the accounts and balance sheets in order for the company's accounting, keep track of cash flows with the control of entries and exits of the company's money. We dislike that it does not have support in case of data loss, also it does not have accessibility so that the entrepreneur or the accountant takes control of income and expenses through applications for Android phones, prices should lower them a little, they should strengthen this software with more features, support is regular, respond late.
" Very expensive and removal of existing functionality for chargeable alternative"
The system works well - I've been using the package since around 2011/2 and rarely had a technical problem. They approach their existing customers with contempt and greed - price increases with no new features, then they take away existing features and replace with chargeable alternatives. They also have the most useless starter package that I believe is of little use to the smallest of companies due to the restrictions imposed, forcing nearly all active companies to pay for their middle package (rich in features that small companies may not need) at the very least. When things do go wrong, their support is generally pretty poor. Consider other packages. Xero has taken its customers very much for granted and appears to be headed towards a direction of milking customers for as much money as possible. The problem is, it is very difficult migrating data away into another package, once you are set up with Xero (although to be fair, all accounting packages appear to have the same challenges), so they have you over a barrel. Only, I have now given notice and am leaving! "Disgusting tactics now being employed. We aware. It could be very costly." Overall, Xero is a great Accounting package. But, their recent and very shifty and deceptive decision to remove core features and start offering them as add-ons is disgusting. Until recently, there wasn't much I didn't like. I probably couldn't name anything, apart from the somewhat dated UI - but that's a stretch. Recently however, Xero have taken a core feature (Expenses) and starting selling it as an add-on, on top of the monthly subscription fee. Expenses as you may know, and would expect, is 'included' in the monthly subscription and formed part of the core software. There was no additional charge. They've recently updated the Expenses feature (which they should be doing anyway) and now believe that because they've updated it, that warrants it being pulled from core and sold separately as an add-on. As a current subscriber, I signed up for the all inclusive package. Having features ripped from the core package and charged for in addtion to the monthly subscription is not on. Especially when no discount or reduction of the monthly subscription cost was offered. As a SaaS provider, any and all future updates, regardless of how big or small they are, should form part of the monthly subscription. Choosing an accounting package is a big decision and once you're committed, it's difficult and often costly to change. With Xero now employing this kind of model, I'd caution anyone considering Xero to think again, think hard. Today it's Expenses, tomorrow it could be something else. These disgusting tactics employed by Xero are unacceptable. With their recent and very shifty move to start removing core features and start charging for them as add-ons in addition to the full monthly subscription costs, I'd very carefully consider Xero. At any time they are likely to remove other core features and start charging them. It could be a costly exercise. "Online accounting at it's best with Xero." What I like most about Xero is that it's an cloud accounting software thus I can access and do everything from my mobile phone. Allows us to manage our finances and accounts from anywhere everytime. It's easy to setup and start using it thus doesn't require much learning curve. Xero makes it possible to manage and track our sales and spendings. Easy to carry out accounting processes and bookkeeping with Xero. The fact that this software is a cloud based accounting software,it will require good internet connectivity to run all processes. Yes,its our go-to-solution to online accounting thus I recommend it greatly. Easy to carry out all accounting processes and books keeping with Xero. Easy to create,approve and send invoices direct from mobile phone. ""Xero is the best bookkeeping help apparatus""
We are intrigued by the simplicity with which we can perform benefit and misfortune adjusts for our business. Xero is without a doubt the best stage to make money related reports. Presently, we very like its assortment of alternatives for treasury the board, and to make deals figures. Something else that we like about Xero is that it is exceptionally great to keep records of leasers and bank compromises (the last is fundamental for bookkeepers). Xero does not offer a combination to accounting administrations, and its administration of corporate finance is very moderate. With respect to legitimate charging, Xero does not permit the best possible invoicing of arrangements, which makes it hard to oversee inventories. We don't care for your administration arrangement of reestablishments and requests. Xero is a very prescribed stage to keep great control of costs of doing business, and to follow time. We suggest it totally for determining deals (called guaging), and to keep great bookkeeping of each segment of the undertaking. It is immaculate to oversee fixed resources and assessments, just as to take a satisfactory administration of the customer's consistence. Xero has given us an incredible charging framework for undertakings, either to convey contact databases, to make billings by hours, on the web, unanticipated costs, or essentially memberships. Xero is very efficient as far as its installment handling framework, which works shockingly well on the web. "Great user interface but the API is challenging"
Most accounting systems have an interface that makes it easy for the accounting staff to review and match transactions in bulk while Xero's interface makes it easy to run a business. I really like the sync between Xero and our bank account which makes reconsiliation a breeze. Consider invoicing out of other platforms rather than Xero. We inoice using our homegrown subscription/billing system and bill customer's credit cards using Stripe. Neither Xero nor Stripe is used to manage the transactions and that puts us in control of our core business processes. The transactions are automatically recorded in Xero through the bank account sync. We operate an office-less company with all employees working remotely whereever they may be for the time. I have never met our CPA, but we work together on the reconsiliation and once a year they close our books and report taxes. Very easy! 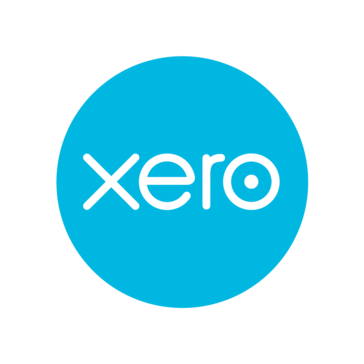 ""Xero is ideal for a wide range of money related records. "" We like Xero on the grounds that it offers a decent monetary administration framework, and in light of the fact that it tends to be coordinated to in excess of 600 outside stages, which gives it an incredible limit with regards to personalization. Xero underpins distinctive kinds of money, and its sources of income are effectively refreshed progressively. Presently, we like how your online installment preparing framework functions, and ACH installments and solicitations. Something that annoys us a little is that the misrepresentation discovery apparatus is very moderate. Additionally, it doesn't serve a lot to separate development bookkeeping, and to oversee payrolls appropriately. Xero likewise does not permit to legitimately deal with spending plans and bookkeeping conjectures. It doesn't consider legitimate bookkeeping of account holders and loan bosses, and its cost following framework is hard to oversee. Xero is a totally prescribed administration to do satisfactory bookkeeping of ventures. Its works breakdown framework is very simple to oversee, just like its treasury the executives. We prescribe it enough to deal with buy orders. We prescribe it chiefly for private companies, which will without a doubt have a superior bookkeeping the board. Xero has helped us take care of a great deal of issues, chiefly to oversee spending plans and cost gauges, and to process checks (something that we discovered hard to do on the stages we utilized beforehand). It has likewise helped us a ton to take better administration of indexes and acquisition contracts. "New User but very impressed. Moved from Sage 50 around three months ago." Xero is saving many hours of time each day compared to using Sage 50. I am very impressed. We moved from Sage 50 around 3 months ago and am starting the see the many benefits of cloud accounting, and the simplicity which Xero does things. The move from sage to Xero could have been a little smoother, because we have multi currency a lot of things had to be fixed manually. We still have a small problem of some historic invoices being in a wrong currency. however because you can accept payment against any invoice in any currency (unlike Sage) this is less of an issue. Spend a lot of time on the implementation and get it right from the offset. Time is the biggest problem we have solved, and also being able to see live bad debtors and creditors is a huge positive. The bank feeds prevent me from having to log into every bank each morning, i simply hit refresh and it pulls in the latest incomings and outgoings of every account we have. This makes bank reconciliation a much easier and smoother process. I always had to fight with Sage at month end to do this, but now it is a doddle. "Feature rich, simple to use, high level support and training documentation"
Multi currency with Xe.com rates saves a heap of time compared to the old way, makes reconciliations easy and auto books the gains / losses for you. Really don't have to think too much about it. Currently does not support other languages except English (I do consulting to Japanese / Chinese based businesses which have come up with some nice work arounds). Budget manager is for performance budgets only (not cash or balance sheet) but in saying that you have available integration apps that can do full budgets for you. Before diving in, map out all your business applications, check that everything is going to play nicely together (API connections), if needed consider Zapier to connect external applications to Xero (can do some very clever things), importantly understand Xero is not like quickbooks, MYOB, Sage etc...the onboarding / setup process therefore is going to be different than what you are used to. Xero is suited for small business applications, if you are a large scale manufacturing firm or hold complex stock items don't expect Xero to do you any wonders. Check that it meets your requirements first. If stuck refer to a certified Xero adviser or Xero support for assistance who are quick to respond. Happy accounting. Make recording source data (bank transactions, loose expenses) as painless as possible with little effort, by using automated bank feeds, xero touch app, xero expenses app. It's proven to save larges amounts of time for the clients I've assisted and also allowed for visibility over business operations where previously there was a strong reliance on the accounting division before understanding where your business was at. The biggest this is that you don't need a accounting degree to use it. It sync with everything I currently use and it's quite cheap to use. You don't have to pay someone to set it up for you especially if you are willing to do some digging and find the answers to your questions. It can be a bit difficult to setup but once you are there it's easy to use. I could use a few more custom reports too. We needed a solution that was easy to use and easy to teach others to use. It also had to be online and have lots of add-on's and apps to sync to. Xero fill all of those blanks. To start with we were a one-man-band so it had to be simple to setup and just run and without any form of accounting experience it was simple and easy. "Strong financial accounting platform with great add-ons and management reporting"
I chose Xero because it’s core functionality is financial and management accounting. Critical features for small business owners, midsize business, and non-profit members are in the application. As an accountant, it’s amazing to work on the “advisor side” of the application. It’s a cloud application that’s robust, has outstanding uptime, works across devices, and presents a financial picture with ease. The reason I say core application, is because it so easily integrates with 100’s of applications. That’s important, because I didn’t want application that selects for example a CRM or inventory tracking system for me. They make sure they’re the best at what they do and then the user can select the best tool for them to seamlessly integrate. I don’t like that as you continue to reconcile throughout the year, prior reports no longer show items that were open during that period. When going through a financial statement audit, it’s important. We publish the reports now, so they’re saved in the system and there’s an audit trail. However, I feel like this could be improved. Take advantage of the advisor directory to ask questions. I think most of us are happy to answer. If not, watch videos and use a trial. If you’re converting from an application, be sure your books are clean. I’d get in there and play with the tools first. While both QBO and Xero are cloud applications, their approaches are very different. The terms Xero use are really business-owner or non-profit friend and I think you’ll find working in there, it’s easy to work through and keep up with your books. Also, look at add-ones to get an idea of what might make sense to you. There are many you really don’t need right away, so Xero is your starting place, but occasionally your business needs will result in adding an application. You can really brand and get invoices just the way that works for you. But, it’s worth taking it step-by-step and really learning the features. We’re an accounting firm and we keep our books on Xero and our clients use Xero. It means we not only support their accounting but we can help them with technical issues real time. We don’t use a lot of different accounting applications, one because we love Xero, and two because, this way we can fully support the business-owner. Often, for a business owner, or Executive Director, questions relating to accounting can be technical matters in the application. Between, Xero certification, and killer customer service/technical support, we’re able to provide the advice our clients need. "Started Out Good, but too many details missed and processes screwy"
It's web based, looks good, and works (ish) with many systems through the API. They fixed the Stripe integration, finally, which was a problem for years. First and foremost, if you need to use Purchase Orders, Xero isn't for you. You cannot include Item Codes (their version of Part Numbers) on purchase orders. You can use the Item Name, but even to get that you need to create a custom template and rework it entirely in Word to get that. The default setting from Xero is that you only get Item Description. This is obviously useless for any purchasing, and Xero has clearly stated that it is never going to happen because, and I quote, "Item Codes are mainly for internal purposes." It's a huge issue. https://community.xero.com/business/discussion/3361072 is the thread on their boards where they refuse to fix it. In addition, accountants can't make certain kinds of journal entries which they're used to being able to do in Quickbooks. This causes an issue if you're making the switch, so make sure your bookkeeper or accountant is trained on Xero. I'd be wary if you're in a B2B situation. They're set up for B2C, but if you need normal functionality like Quotes and POs, you're in for some headaches. General book keeping, flowing in sales from multiple channels, expenses. I love the open access to the Xero API. We are able to pull data in and out from all of our other programs. The user interface was put together with a lot of thought. I dislike the limited functionality that the Android app offers. Also, it would be great if there was a UDF for clients to choose the payment amount when viewing/submitting transactions from a invoice. Currently, the only option is to pay in full so we're unable to collect deposits or partial payments for projects. Clearly, accounting is the primary reason for Xero. I also enjoy the gateway options for receiving client payments. Tax tracking is also a great feature. "Sit back, Relax and let XERO run your Accounting from A-Z"
1. It's Easy to use, understand or grasp even though I'm not a CA. 2. Integration with almost any platform you can think of, seamlessly. 4. It's online, no backup issues, server crashing, tape backups, all my data is where it's supposed to be. 5. Templates for any documentation you can think of, even the emails sent out to your clients happens smoothly, whether they are sent manually, automated yearly, monthly, daily etc. 6. After 5 years, I'm still the happiest pig around. The mobile application can include more features, but since I'm a developer. I know that the mobile application space will eventually move back to the cloud anyway. Nothing else matters. I logged one issue in more than 5 years, mobile/web based apps included. That is a track record you can be proud of. My auditors phoned me up near the end of my company's first year in business. They needed my accounting history, whether it's receipts, little notepads lying around invoices made by hand etc. I browsed to www.xero.com and added my auditor to my company as an accountant with read-only access. Xero sent them an invitation to which they could create their own password and BANG. 15 minutes later my audit was done with the results requested. "Solid service once you get it set up." The customer service is fantastic. I've been on a first name basis with my personal customer service representative since day 2. Every time I have a problem he quickly helps me figure it out, regardless of how basic. Setting this service up was a PAIN. I hate dealing with accounting anything, and honestly quickbooks was a way easier and painless setup. But now that I have it up and running it's going okay. Realize it's going to take time in the beginning, but don't be afraid to use their customer service! It takes care of my accounting in the background, so I can spend more time on my business. The most basic benefit I'm seeing recently is now that it's all set up, it's crazy easy for me to see my basic numbers- money going out and money coming in. 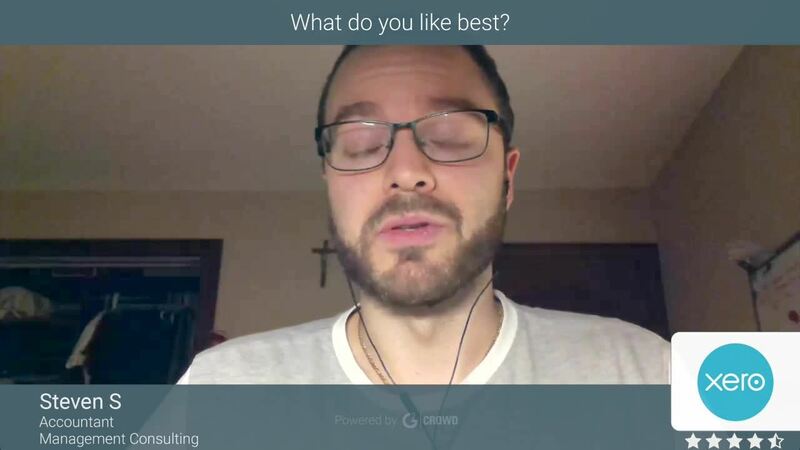 "The best for any company under 500 ppl"
It is simple, easy to use, does a lot, has huge amounts of integrations, is low priced, has a great support group, has tons of online resources, lots of Professional Development opportunities, puts on great Road Shows every year and their local guys are very cool and fun! Not a whole lot, but if I did need to nick pick it would be the inability to consolidate financial statements and the inability to do manual over ride on certain items. 99% of the times it is great, but that 1% which I know what and how I want to book a journal entry, it makes it very difficult for me to do so. One other thing I dislike about Xero, which is probably because it has spoiled me in the first place, is the frequent disconnects through Yodlee when trying to synchronize banks. Give it a try, it is very economical to get in. Enterprise Resource Planner, bookkeeping, billing. Huge benefits as the software is great. I love the fact that Xero is a totally cloud-based solution: developed in the cloud for use by those who are cloud minded. The user interface is friendly enough for a business owner to use but robust enough for any accountant's rigorous reporting and functionality requirements. I haven't yet found anything I dislike about Xero. My first recommendation would be to contact a local representative to do a live demonstration of Xero. Follow up this first meeting with a local Xero function - this may be a Xero Hour monthly meeting or a Roadshow in your area. Finally, talk with any number of accountant-advisors who utilize Xero for their accounting solution. From there, make an informed decision to join the Xero family. Finally, if you do choose to use Xero, take advantage of the numerous resources for training and branding Xero has to offer. Xero is uniquely positioned as a cloud-based solution with a number of integrations that facilitate valuable services outside of the compliance side of accounting. Everything from bill pay to analytics to intelligence -Xero has a very robust app ecosystem. Xero makes it easy to lay a user-friendly and durable foundation for any small to mid-sized business. The system is easy to deploy and client training knowledge development can be done with ease either in-person or virtually. "Tired UI and a lack of implimenting user-requested features"
Primarily, their lack of implementing user-requested features. If you head on over to their user community forum you will see hundreds of requests, with hundreds of comments voicing support, for various features which have gone ignored for YEARS. Recently, Xero took to removing the dates from the user forum, no doubt because it looked bad having requests from 2005 be constantly bumped to the top of the forum evert week. Always the comments are the same: "Hey, I came here with the same issue! We would like to be able to change the default naming of invoice PDFs that are sent via Xero. Cant believe this was first requested in 2005!" This is the same for a large number of seemingly simple features, including PDF naming, invoice email templates and invoice line-item notations. If you have a high standard for how your invoicing and brand looks when using Xero to interact with customers via invoicing etc, then you are probably better getting dedicated invoicing software. If you are a small business, there are better cheaper options available. And if you expect to be able to make feature requests for software that you are paying for, then you will want to find another product. Simple. Easy bookkeeping and reporting, invoicing etc. The interface is intuitive and flexible. Limited functionality in budget manager. One limitation is that there are only two dimensions that you can attach to an entry. Make sure you do not need more than that for the foreseeable future. In addition, Xero support is limited so be sure you have someone capable of figuring things out on their own. Finally, be aware that Xero has a done of great, seamless integrations so if Xero doesn't offer something you are looking for, be sure to check out their integrations as it is likely you can piece together a customized solution for you. Because of Xero and its integrations, our accounting close is clean and we have all supporting documentation attached to each entry. It is easy to make changes to entries, reporting, budgets, etc. saving me a lot of time. "Xero - a great solution for small business "
I really like that Xero is cloud based. Further, I love the dashboard, ease of reconciliations, and notes of communications with clients and vendors. I really like that I can see which clients have opened up my invoices for review. I don't like that the system won't allow for overpayments or for open credits to sit on accounts. Further, I find that often times PO's remain opened even after a final bill has been created which occasionally cases confusion. I like that members of our team can get a quick snapshot of our financials at anytime, and that anyone can check in on the status of communications because there is a thread for every invoice, PO, bill etc. For our busy team this works perfectly for us. "A different way of keeping your accounting"